These solid trough planters are ideal for bedding plants, creepers and crop plantation. They have a slatted drainage base and have optional stain or colour finishes and plastic sheet lining to waterproof and protect. 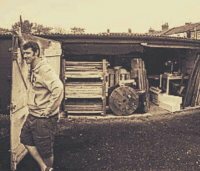 Rustic solid wood square planters made from recycled pallet boards and reclaimed wood. 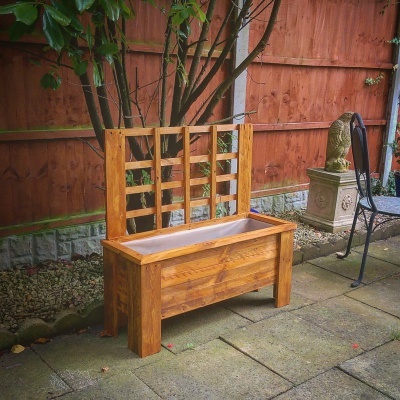 Great for gardens, patios, allotments and just about anywhere else! 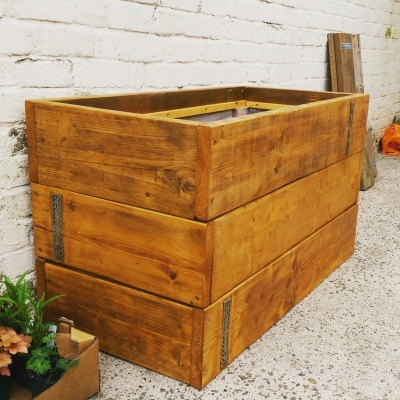 These heavyweight supersized planters are perfect for larger spaces, allotments and communal areas. 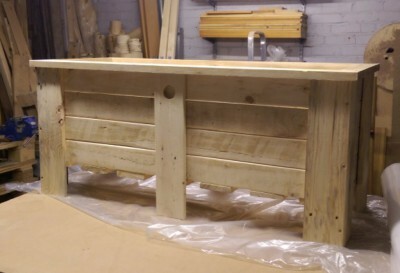 Constructed from chunky reclaimed boards. 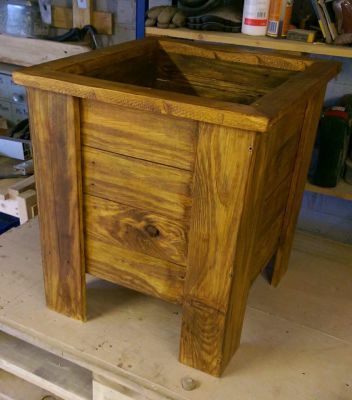 All supersize planters are 66cm high but can be customised to individual needs on request. Trellis planters are ideal for creeper plants and give a beautiful look to gardens. Whether its to create a partition, or give a feature effect, these planters look great and will last for years. 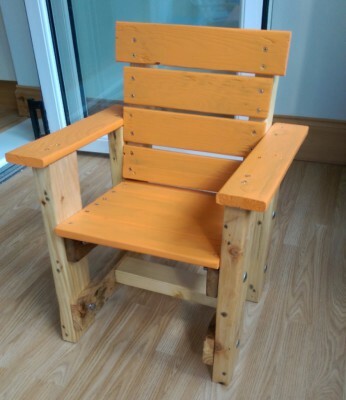 Funky comfortable pallet chair for young children available in a wide range of stains and bright finishes. 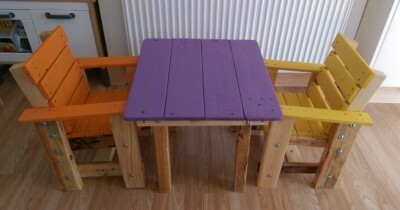 Comfortable seating with a rustic colourful table. Perfect for indoor and outdoor use. Optionally treated with colourful weatherproof stains and toughened polyurethane varnish. To customise your colour scheme please use our contact form.